We will be working through many Python examples here. 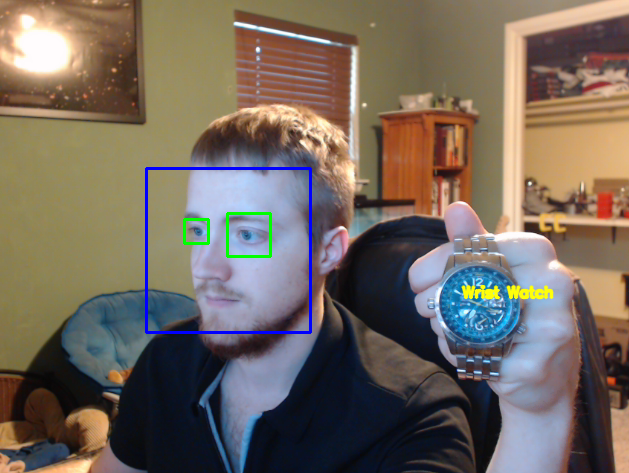 Getting started with OpenCV's Python bindings is actually much easier than many people make it out to be initially. You will need two main libraries, with an optional third: python-OpenCV, Numpy, and Matplotlib. python-OpenCV - There are alternative methods, but this is the easiest. Download the appropriate wheel (.whl) file, and install using pip. See video for help. Not familiar with using pip? See the Pip installation tutorial for help. pip3 install numpy or apt-get install python3-numpy. You may need to apt-get install python3-pip. pip3 install matplotlib or apt-get install python3-matplotlib. Matplotlib is an optional choice for displaying frames from video or images. We will show a couple of examples using it here. Numpy is used for all things "numbers and Python." We are mainly making use of Numpy's array functionality. Finally, we are using the python-specific bindings for OpenCV called python-OpenCV. There are some operations for OpenCV that you will not be able to do without a full installation of OpenCV (about 3GB in size), but you can actually do quite a bit with the fairly minimal installation of python-OpenCV. We will wind up using the full installation of OpenCV later in this series, so you can feel free to get it if you like, but these 3 modules will keep us busy for a while! If you get no errors, then you are ready to go. Ready? Let's dive off the deep-end! First, we should understand a few basic assumptions and paradigms when it comes to image and video analysis. With the way just about every video camera records today, recordings are actually frames, displayed one after another, 30-60+ times a second. At the core, however, they are static frames, just like images. Thus, image recognition and video analysis use identical methods for the most part. Some things, like directional tracking, is going to require a succession of images (frames), but something like facial detection, or object recognition can be done with almost the exact same code on images and video. 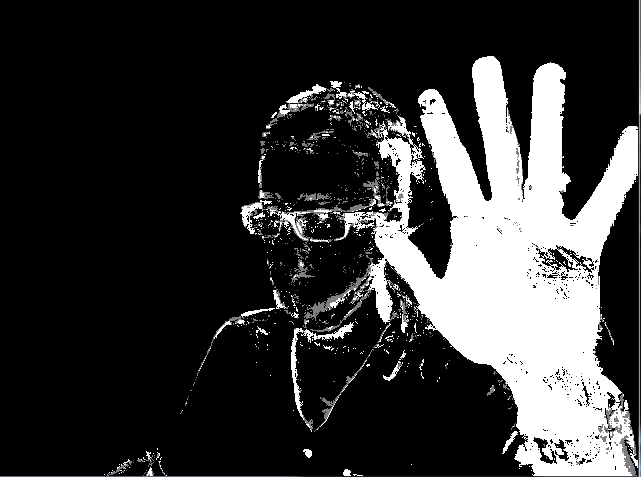 In the case of edge detection, the black corresponds to pixel values of (0,0,0), and white lines are (255,255,255). 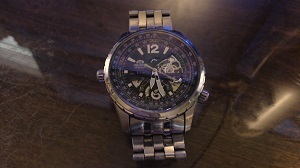 Every picture and frame from a video breaks down to pixels like this, and we can deduce, like in the case of edge detection, where edges are based on where the white pixels are compared to black. Then, if we want to see the original image with the edges marked, we note all of the coordinate locations of white pixels, and then we mark these locations on the original source feed image or video. First, we are importing a few things, those three modules I had you all install. Next, we define img to be cv2.read(image file, parms). The default is going to be IMREAD_COLOR, which is color without any alpha channel. If you're not familiar, alpha is the degree of opaqueness (the opposite of transparency). If you need to retain the alpha channel, you can also use IMREAD_UNCHANGED. Many times, you will be reading in the color version, and later converting it to gray. If you do not have a webcam, this will be the main method you will use throughout this tutorial, loading an image. Once loaded, we use cv2.imshow(title,image) to show the image. From here, we use the cv2.waitKey(0) to wait until any key is pressed. Once that's done, we use cv2.destroyAllWindows() to close everything. 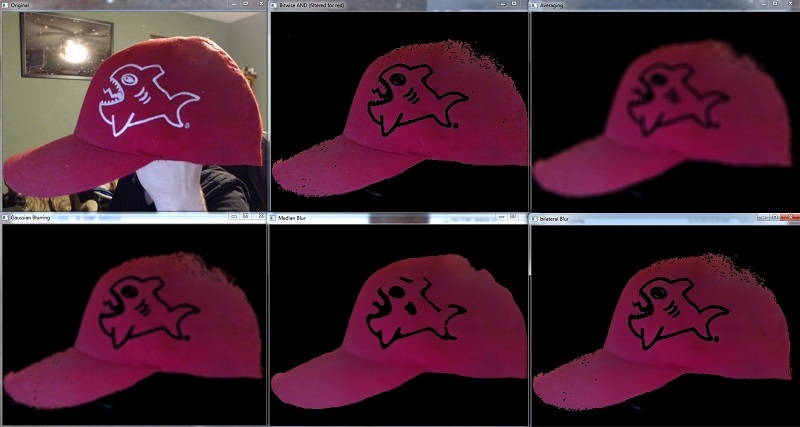 Getting images into OpenCV seems easy enough, how about loading video feeds? In the next tutorial, we're going to show how to load in a webcam or video feed.